One Small Sun takes readers from a fur shop in Oregon to a Hyderabadi shrine in India’s subcontinent. Its pages contain a meditation on post-mortem photographs, an ode to the female earwig, an elegy for a grandmother’s panache. Tapping deeply into memory, relying on poetry’s ability to bring alive again what is coded into the blood, these poems ultimately form an arc of an aging woman’s life. This collection tells the tales of what she has always realized, is ever learning, but—only through poetry’s vehicle—can truly know. These are the poems of an enraptured heart and mind, of clear eyes and ears doing the soul’s seeing and hearing. They vividly prove the unchanged function and relevance of poetry: to crystallize unsayable, nonverbal inner states, and to sanctify every world it touches. Permeated with vision and spirit, …Paulann Petersen, nee Paulann Whitman, lives the life poetry invites us to find—deftly weaving tendrils of earth and mind into a precisely elegant terrain. These poems are large and loving enough for every-one to feel at home in. 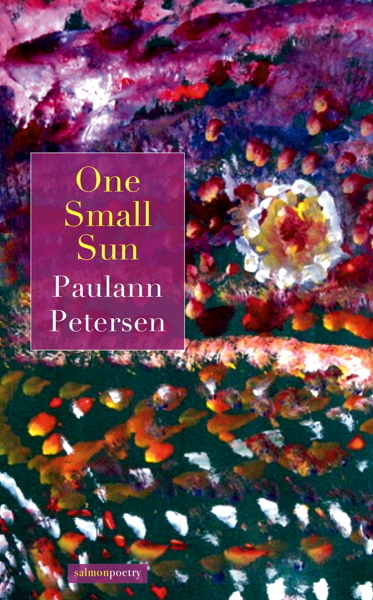 For Paulann Petersen, heartbeat and breath provide the rhythm for both living and writing…. [she] wishes to mark the way to the kind of living her several proper themes reiterate: walk with open hands, carry the amulets that memori-alize where you have been and point to where you need to go, trust the sense of the senses coded in the blood….